Cluster analysis, also called segmentation analysis or taxonomy analysis, creates groups, or clusters, of data. Clusters are formed in such a way that objects in the same cluster are similar and objects in different clusters are distinct. Measures of similarity depend on the application. Hierarchical Clustering groups data over a variety of scales by creating a cluster tree or dendrogram. The tree is not a single set of clusters, but rather a multilevel hierarchy, where clusters at one level are joined as clusters at the next level. This allows you to decide the level or scale of clustering that is most appropriate for your application. 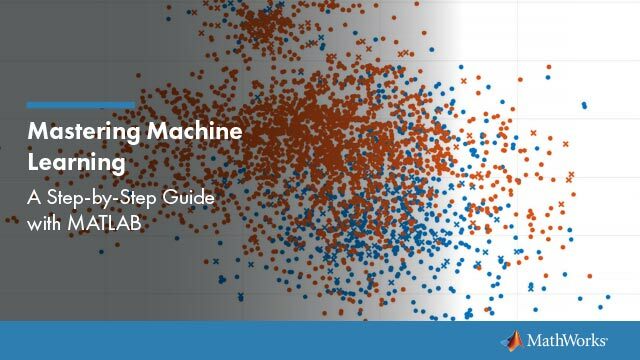 The Statistics and Machine Learning Toolbox™ function clusterdata performs all of the necessary steps for you. It incorporates the pdist, linkage, and cluster functions, which may be used separately for more detailed analysis. The dendrogram function plots the cluster tree. k-Means Clustering is a partitioning method. The function kmeans partitions data into k mutually exclusive clusters, and returns the index of the cluster to which it has assigned each observation. Unlike hierarchical clustering, k-means clustering operates on actual observations (rather than the larger set of dissimilarity measures), and creates a single level of clusters. The distinctions mean that k-means clustering is often more suitable than hierarchical clustering for large amounts of data. DBSCAN is a density-based algorithm that identifies arbitrarily shaped clusters and outliers (noise) in data. The function dbscan performs clustering on an input data matrix or on pairwise distances between observations. dbscan returns the cluster indices and a vector indicating the observations that are core points, which are points that have at least a minimum number of neighbors (minpts) in their epsilon neighborhood (epsilon). Unlike k-means clustering, the DBSCAN algorithm does not require prior knowledge of the number of clusters, and clusters are not necessarily spheroidal. DBSCAN is also useful for density-based outlier detection, because it identifies points that do not belong to any cluster. Cluster Using Gaussian Mixture Models form clusters by representing the probability density function of observed variables as a mixture of multivariate normal densities. Mixture models of the gmdistribution class use an expectation maximization (EM) algorithm to fit data, which assigns posterior probabilities to each component density with respect to each observation. Clusters are assigned by selecting the component that maximizes the posterior probability. Clustering using Gaussian mixture models is sometimes considered a soft clustering method. The posterior probabilities for each point indicate that each data point has some probability of belonging to each cluster. Like k-means clustering, Gaussian mixture modeling uses an iterative algorithm that converges to a local optimum. Gaussian mixture modeling may be more appropriate than k-means clustering when clusters have different sizes and correlation within them.